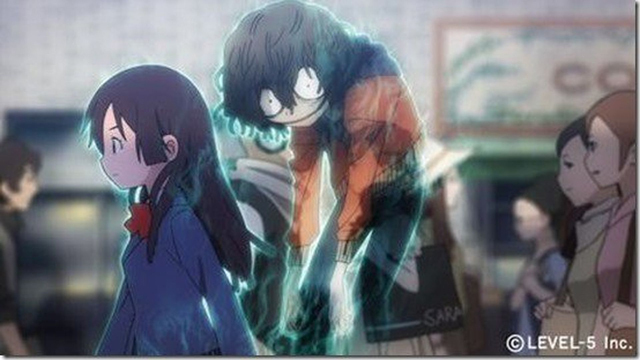 A previously teased revival of a cancelled game from Level-5 was revealed to be a horror-themed RPG named Ushiro. Originally announced at the Level-5 Vision 2008 showing for the PSP, the latest issue of Weekly Famitsu features an extensive interview with company CEO Akihiro Hino, who teased this surprise news. Set in a contemporary Shibuya Station, Ushiro features a young female protagonist who can see ghosts, like the sinister god of death, Reiichiro Ushiro. Ushiro‘s job is to prevent bad things happening to good people by taking possession of them, completing quests, and engaging in turn-based combat. There is no timetable on when Ushiro will debut on the Switch, but Level-5 is keeping busy on the platform with the recently-delayed Yo-Kai Watch 4, Inazuma Eleven: Balance of Ares, and The Snack World.